French metal producer FACEL (Forges et Ateliers de Construction d'Eure et Loir) was a well established French firm which decided to branch into car manufacturing in the mid-1950's. FACEL had already supplied complete bodyshells to other French manufacturers such as Simca, Panhard and Ford France. 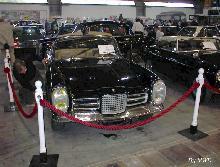 The first Facel Vega production cars appeared in 1954 and instantly won acclaim from around the world. 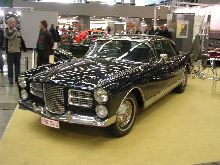 The secret to the success of Facel Vega was its unique blend of elegant design, a US power-plant and European build quality. 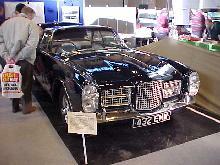 The Facel Vega was regarded as a luxury Grand Tourer that could compete with both the best European and US models. 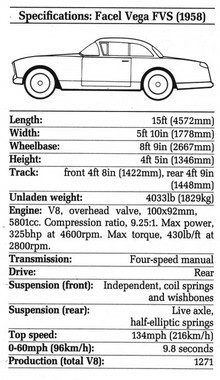 After a successful period of building the US powered models the company made a fatal decision to produce its own four cylinder engine. This move down-market forced the company to fold in 1964.